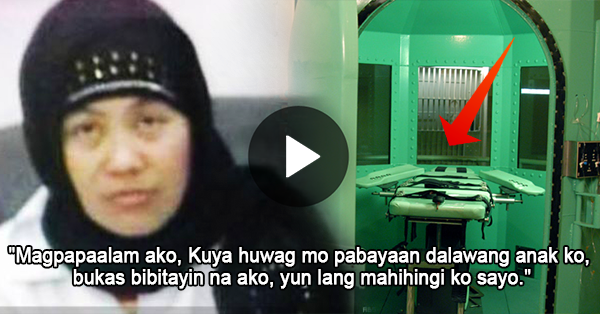 JUST IN: DFA Spokesperson Confirms OFW 'Jakatia Pawa' Was Set to Execute in Kuwait Today! Reports revealed that a 32-year-old OFW Jakarta Pawa underwent the legal process to prove her innocence, but then, she was unable to do so and her family failed to pay the 'blood money' that could have prevented her execution. It was confirmed that the Philippine government had been negotiating regarding her case since 2007. The President has recently written a letter of appeal to the Kuwait Government. Paws were sentenced to death for supposedly killing her employer's daughter on May 2007. The victim was stabbed 28 times and died. She was employed by the family for five years. She pleaded the case, saying that it's possible that the suspect was one of the victim's relatives. "Tumawag kapatid ko kanina around 5 in the morning. Kasi nga nabigla nga ako kanina sa pagtawag niya kasi umiiyak, sabi niya kuya bukas bibitayin na kami,"
"Magpapaalam ako. Kuya huwag mo pabayaan dalawang anak ko, bukas bibitayin na ako, yun lang mahihingi ko sayo,"
Pawa was executed by hanging at 3:19 Manila Time.